Opposition continues to grow to the anti-casino initiative in Florida that the state’s voters will consider in less than two weeks. 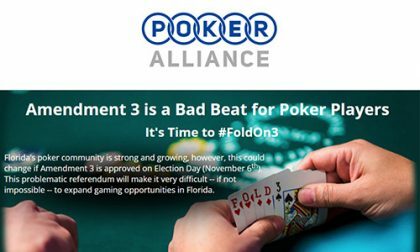 The Poker Alliance, the successor organization to the Poker Players Alliance (PPA), had launched a grass-roots social media campaign in an effort to rouse opposition to the initiative, known as Amendment 3. The Poker Alliance announced its opposition to Amendment 3 in a press statement and a direct mailing to 30,000 poker-playing members inherited from the PPA’s membership lists. The Poker Alliance has also launched two online sites offering more information on what it describes as a “mislabeled and anti-consumer” initiative. The two new web sites offered in opposition to Amendment 3 are located on a page on the Poker Alliance’s home site, and a new call-to-action site at https://www.choosemenot3.com/. “Amendment 3 is a pernicious and anti-competitive approach to limiting poker and other gaming in the State of Florida for decades to come. A few exceedingly well financed special interests are driving a ballot initiative that is mislabeled and anti-consumer in the State of Florida and we are asking people to Vote No on 3,” said Mark Brenner, President of the Poker Alliance. 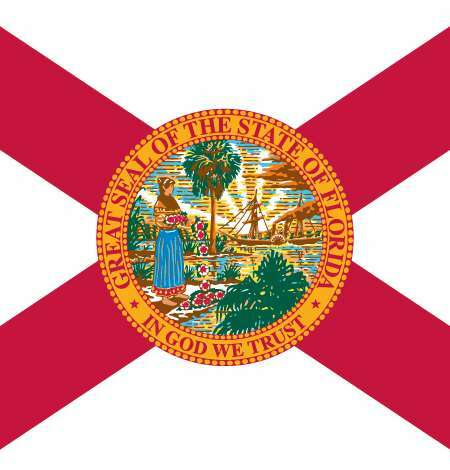 The efforts by the Poker Alliance also note that several big-city news outlets in Florida have already opposed the initiative, including the Tallahassee Democrat, the South Florida Sun-Sentinel, the Tampa Bay Times, and Florida Today (a statewide USA Today offering). The controversial Amendment 3 is the deep-pocketed effort launched by Disney and joined into by the Seminole Tribe of Florida that would create significant roadblocks to any casino expansion in Florida, by creating changes to the state’s constitution that would require any expansion or licensing of a new gambling facility to be approved via statewide voter referendum. As Flushdraw reported a couple of weeks ago, Amendment 3 turns out to be funded almost entirely by Disney and the Seminole Tribe, who together at that point had already spent nearly $36 million in dark-money financing promoting the initiative, which would protect the two entities’ enormous financial interests in the state. Research spin paid for Disney and the Seminole Tribe and published by marketing firms early in the election cycle claimed huge popularity for Amendment 3, but more recent polling, as the true nature of the initiative receives greater public exposure, has shown the measure dropping below the 60% support needed for passage. Florida voters will decide on the initiative on November 6.